Fazlul Sarkar, who sued PubPeer commenters for criticizing his work, has logged two more retractions, bringing his total to seven. The two retractions appear in the Journal of Cellular Physiology, and follow five others released last week by another Wiley journal, Journal of Cellular Biochemistry. All notices mention an investigation at Wayne State University, where Sarkar is on the faculty. 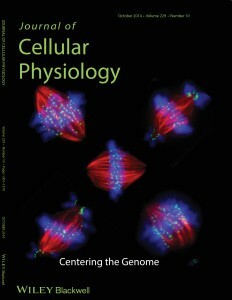 Wiley Periodicals is withdrawing a biochemistry paper after mistakenly publishing it in the wrong journal. The mistake took a few months to sort out. Wiley initially published “Protein Kinase C Is Involved in the Induction of ATP-Binding Cassette Transporter A1 Expression by Liver X Receptor/Retinoid X Receptor Agonist in Human Macrophages” online in Journal of Cellular Physiology in May of last year. The article was posted in the correct journal — Journal of Cellular Biochemistry — in July. At the very end of 2015, the publisher officially withdrew the version it posted in the Journal of Cellular Physiology. Two researchers, Tong Wu and Chang Han, have lost a second paper as the result of a University of Pittsburgh investigation into image manipulations. The first retraction, in Journal of Cellular Biochemistry, went live in February. The researchers, currently based at Tulane University, were originally tapped by pseudonymous tipster Juuichi Jigen, who created a website in 2012 to chronicle the allegations. The blog lists six papers by the pair with supposedly questionable figures. According to Jigen, this latest retraction, in the Journal of Cellular Physiology, contains a figure (2A) that appears to reuse data from another paper, and another figure (3) where the data appear to be manipulated. A group of researchers from Italy has lost their 2010 paper in the Journal of Cellular Physiology for having plagiarized — in style. The article, “Early Years of Biological Agents Therapy in Crohn’s Disease and Risk of the Human Polyomavirus JC Reactivation,” was led by Valeria Pietropaolo, of Sapienza University in Rome and the Sbarro Institute for Cancer Research and Molecular Medicine at Temple University in Philadelphia. Rui Curi, the Brazilian scientist whose lawyers’ threats helped force the shutdown of Science-Fraud.org, has corrected another paper criticized by the site. We’ve been covering the case of Alirio Melendez, three of whose papers have been retracted amidst questions about almost 70 studies. The latest development is a correction in the Journal of Cellular Physiology, which has already retracted one of his papers, of a study on which he was a co-author. Alirio Melendez, the former National University of Singapore researcher who has already retracted two papers in the midst of an investigation into about 70 of his publications, has had a third retracted a third.